Tap into one of the biggest and most Profitable Markets with the Dating For Nerds and Shy Guys PLR Report for List Building Package. With Private Label Rights. 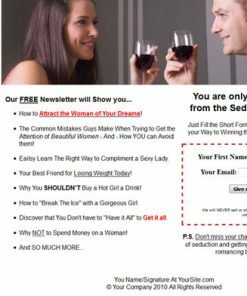 Here’s your highly profitable opportunity to grab your share of a HUGE market that’s proven to spend dollar after dollar trying to find the love of their life. What’s great about this set is that it hits a sub niche of a very large market, it’s your side door into a market of proven buyers. It’s also one that has less competition, which means you’ll have a much better chance of success. As you know the dating niche is one of the biggest markets on the planet and it’s a world-wide one that that. Plus it’s one that is full of prospects that are more than willing to spend their money if it helps them fall in love and live happier ever after. I also don’t have to remind you that there is an almost endless supply of products and services you could promote with this one. From digital ebooks to physical products such as DVD and books. It is also a niche that has many related and complimentary products, or sub niches such as seduction and more. 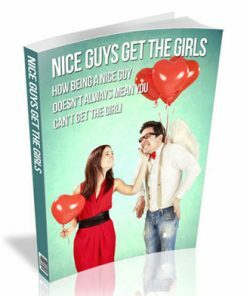 High quality Brand-Spanking-New give-away Dating for Nerds and Shy Guys PLR report dedicated to dating tips and tricks for Nerds and Shy Guys. Professional Ready-to-go squeeze page. Just copy and paste your opt-in code, upload and it’s ready to build you a list. You could be generating new subscribers today. Matching confirm page. If your using double opt-in with your autoresponder service, this will encourage your new subscribers to confirm their email address, which means a MUCH BIGGER list for to promote to for years to come. Download page to send your new subscribers to, do they can download their free report. The work has been done for you. 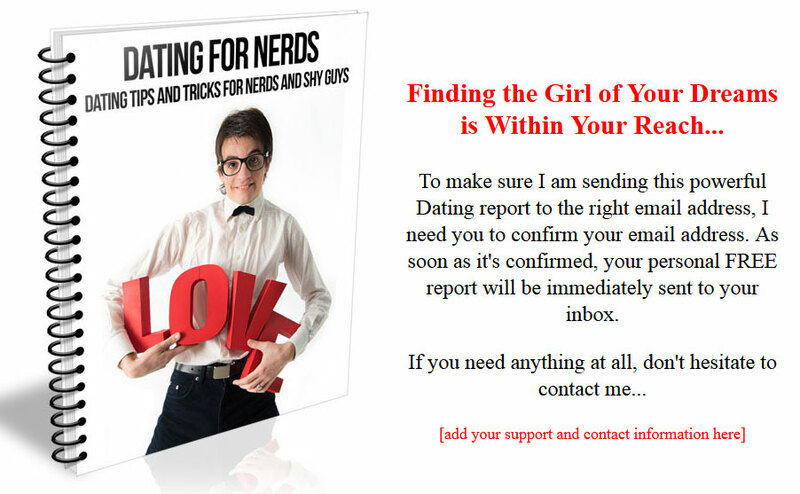 Brand New eCover, we created from scratch just for the Dating for Nerds and Shy Guys PLR Report List Building product. You won’t find it anywhere else but here, so grab it quick and you’ll have the exclusive! Cover PSD so you can brand, edit or change the cover however you want. Make it your very own. You’ll be seen as the expert and authority when it comes to dating for nerds and shy guys. Give-away report is short but packed with solid information. It’s the perfect vehicle to get them wanting more, like other dating products your promoting. 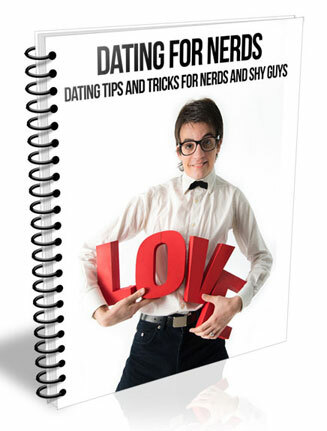 Dating for Nerds and Shy Guys PLR Report is professional done with a linkable table of contents and proper page numbering. It comes in Word DOC format, so rest assured it’s easy to edit or change as you’d like. 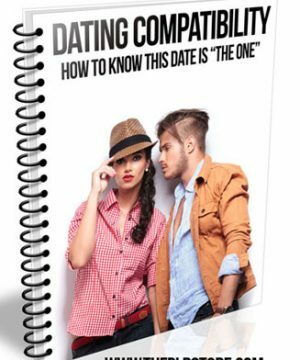 Everything you need to start building a list in the ever profitable dating niche is included. Simply copy and paste your opt-in code into the the squeeze page, add your download link, upload the web pages and it’s ready to build you a list on auto-pilot, even while your away from the computer enjoying life, or spending time with family or friends.